It’s been almost a full month since I started working with my running coach and I feel like I’ve already benefited so much! When I first started working with my coach I was doing run/walk intervals of 2 minutes run/1 minute walk or 2 minutes run/45 seconds walk with a long run distance of 6 miles. My ultimate goal at that time was to get to 7 miles which would take me halfway through the half marathon training plan I was following at the time. When I told my coach about the run/walk intervals she said she would like to get me to the point where I could do my runs straight through, so she bumped up my run/walk intervals to 3 minutes run/30 seconds walk. At first the three minute running intervals felt really hard. Not at the beginning of the run, but by the time I approached two miles I was completely exhausted. This made me feel like a new runner again (in a bad way). Just a week before I had been doing 6 miles and now I could barely do 2 miles … it was kind of depressing. All of this is making me feel like a much stronger runner. Though I’m not back up to six miles yet, I am planning on four miles this weekend and I have no doubts that I’ll be able to complete it. I hope to be back up to six miles very soon – and the great part is I’ll actually be running a lot more of those six miles because my run intervals are longer and my walk intervals are shorter. In addition to becoming a stronger runner, my running coach has added in more cross training days to my schedule than I was previously doing on my own. These days I’m working out six days a week versus the four to five I was doing before, and I’m feeling awesome! I’m working out more but feeling better … that’s good stuff! My first “serious” race is coming up in just over three months: a 10 miler. I still have a long way to go before I’m running 10 miles, but I feel like I’m on my way again. I really couldn’t be more pleased with this first month and I am looking forward to many more months with my running coach! I love your new banner! It’s awesome that you’re working your way back up in miles with more running…longer run intervals means a faster finishing time! Thank you! I’m really excited about the longer run intervals – they are making me feel so much more confident as a runner! 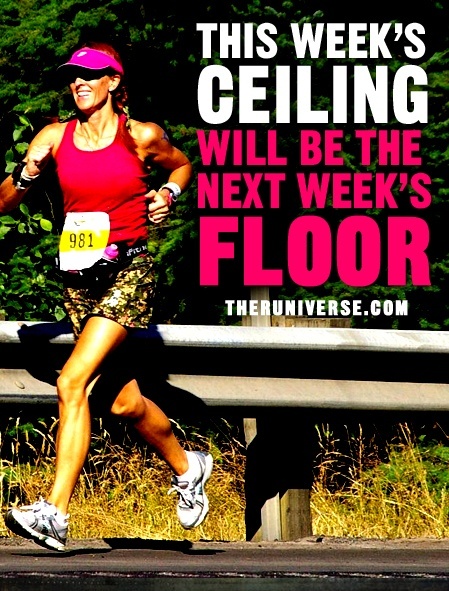 Sounds like you’re making amazing progress and awesome that you are working with a running coach! Do you work in person or is it online coaching? Thank you 🙂 It’s mostly online coaching, but she lives in Boca so we are planning to meet in person! So jealous, I’d love to work with a coach!